Jackson Hole's visitor's guide for things to do, restaurants and lodging in Jackson Hole, Wyoming, and Grand Teton National Park. 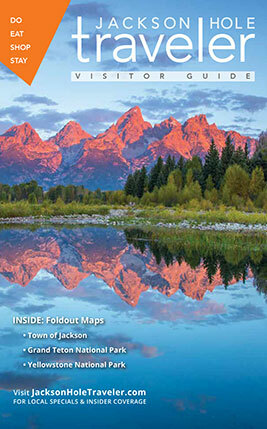 We feature local insight and specials to help you get the most out of your Jackson Hole vacation. There's a lot to do in our pretty playground in the Tetons! Here's the ultimate guide to all the good times. There's something for everyone all year-round. Everything you need to know about vacationing in Jackson Hole. Thrilling wintertime adventures that make Jackson Hole so memorable. The park promises nothing but breathtaking "Wow!" moments. Grand Teton National Park is known as "a hiker's park." Discover why! America's first national park bekons with astounding sites. Our bird's eye views of what makes Jackson Hole so special! Jackson Hole offers a broad spectrum of eateries and nightlife. Mad River is your ticket to exploring the wild and scenic Snake River. Whether you bring your family or come with friends, we can assure you, Snake River rafting will be the highlight of your trip to Jackson Hole. Perfect for novice and experienced shooters of all ages, we’ll “meet you where you are” and provide a Shooting Experience that will create lifelong memories!